The airline did not pay airport taxes. 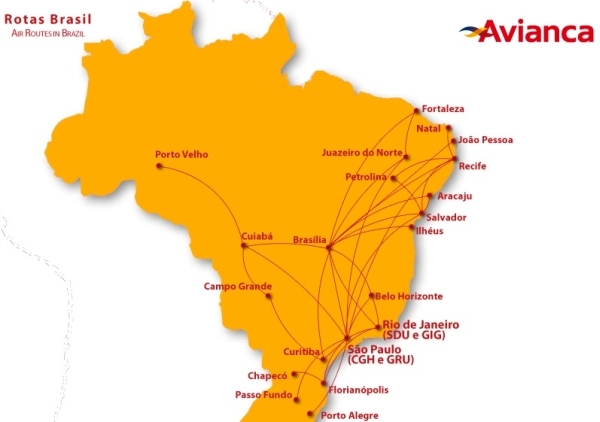 Avianca Brasil operates 58 daily flights from Guarulhos. SÃO PAULO, BRAZIL – Struggling carrier Avianca Brasil will not be allowed to take off from Brazil’s largest airport (GRU), in Guarulhos, starting Friday, unless it resumes payments for the use of its facilities, the airport operator said in a statement. Airports in Porto Alegre and Salvador have also announced a possible suspension of flights. Guarulhos airport is not the first to adopt this type of measure against Avianca Brasil. Floripa Airport, operator of the Florianópolis International Airport, signed an agreement with Avianca Brasil on Thursday to maintain the company’s flights. On Wednesday, the carrier had reported that the company’s flights could be interrupted for lack of payment of airport charges.